Customer facing display, means direct advertising, ordering and transaction display for your customers. Get in contact with us today for further information about what hardware options we have available for your business’s needs. 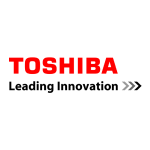 Toshiba is a $60 billion global company employing nearly 200,000 in 30 countries around the globe. Yet with our unwavering commitment to corporate social responsibility (CSR), we think and act much like a local business—caring for the people, the land and future of the communities where we operate. We have been in business since 1979 and are completely Australian owned and operated. 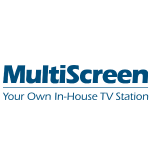 Clients come from a vast range of industries and these businesses are constantly profiting and benefiting from the use of MultiScreen’s technology. 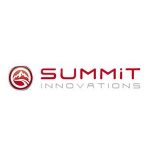 Summit’s strategy is to develop industry leading technology for the QSR industry which enhances operational efficiencies and delivers improved customer service, and to become the recognised world leader for the excellence of its products and backed up by superior customer service and support. Summit provides drive thru timing solutions with a breadth of features and unparalleled accuracy and reliability to Quick Service restaurant brands across the globe. Summit’s solutions improve speed of service, order accuracy, customer satisfaction and staff productivity – all of which improve the bottom line for the owner. Copyright - SwiftPOS Pty Ltd. Creating the best Point of sale Software for the Hospitality and Fuel industries.